Do you live in any of the areas below and are dealing with foundation issues that you need taken care of quickly? Foundation Solutions 360 can help you create a home that’s sturdy and you can be proud to call your own. Our services will repair problems in your foundation as well as eliminate the risks that can occur without the proper precautions. For example, a flooded basement can be stopped before it even occurs with waterproofing. Home repairs can be painfully tedious, but when you choose Foundation Solutions 360, you won’t have to worry about the time-consuming repairs. We’ll provide you with a free estimate and then we’ll walk you through exactly what you should expect from our home repair services. 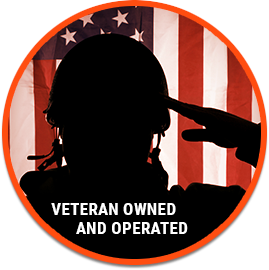 As a veteran owned and operated business, we’re proud to serve the citizens in the state of Michigan. If you’re experiencing foundation or structure issues, then take the time to contact Foundation Solutions 360. Foundation Solutions 360 started over 20 years ago by veterans. As proud as we are to have served our country, we’re just as proud to serve the communities of Michigan who need to have their homes repaired. Whether you have issues with your crawl space or your basement, Foundation Solutions 360 will help you create a home that’s safe, sturdy, and stunning. In addition to providing solutions to any home repair issues you have, we also have products such as the dehumidifier and the sump pump. Each of these products can help you purify the air in your home or create a safer basement with a bright white wall liner. Regardless if you need a product or a solution, Foundation Solutions 360 will meet your expectations. At Foundation Solutions 360, we have three main services that we focus on for home repair. Home repairs are something that many homeowners need to deal with, but how the problems are dealt with comes down to the way the company handles it. Each of these three home repair services ensures that the structure and foundation are solid in your home. Our main goal is to make sure that your home is well cared for and there are no issues that are left untreated. We want to make sure you’re safe and protected and that means finding solutions that will target the areas in your home that need repairs. One of the services that we offer at Foundation Solutions 360 is foundation repair. Foundation repair includes fixing a sinking foundation, cracks in your walls, and walls that are leaning and bowing. Left alone, these ‘small’ issues will quickly become large ones and can cause harm to the structure of your home. If you notice any small signs of foundation issues, then it’s best that you contact a foundation repair company as quickly as possible to eliminate any bigger problems. Foundation issues tend to occur due to water. Living in Michigan, water is in abundance, so it’s best that you keep an eye out for any changes in your foundation. However small, it’s important that you take each crack or slight grade on the floor seriously. One of our more popular services due to living in Michigan, waterproofing is vital for any basement. Waterproofing your basement can be exceptionally important for living in Michigan. Basements can develop mold, musty smells, mildew, and cracks can occur on your floors or the walls if you’re not careful. While it can be frustrating to deal with a flooded basement, there are many underlying issues if you don’t take the time to treat it. Basement waterproofing will protect the foundation of your home as well as alleviate it from excess moisture and water leakage. If you notice even the smallest amount of standing water, it’s vital that you start considering basement waterproofing. The last home repair service we offer is crawl space repair. Crawl space repair focuses on the area below your home that needs some additional care. Mold, rodents, and bugs have a tendency to make their way into this area. A crawl space in any home has a lot of issues, but it’s how you handle them and the repairs that you put into it that help to make it safer and thus, your house secure as well. Foundation Solutions 360 prides ourselves on offering Macomb and the surrounding areas our services as well as solutions to keep your home in great shape. Check out the coverage areas below to see if we serve your community. If you don’t see it on the list, then always contact us and we’ll see how we can help you.